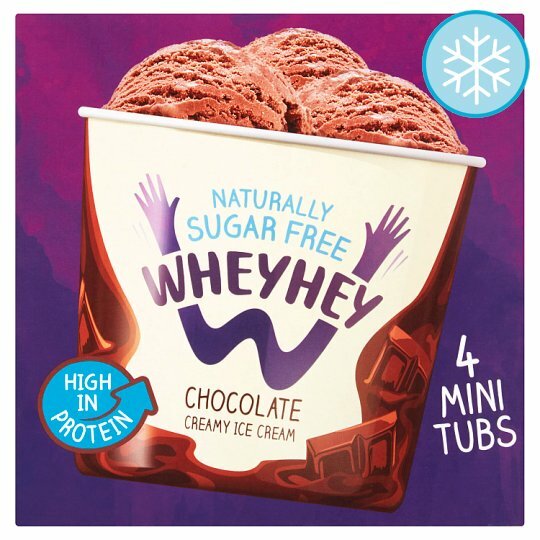 Chocolate Flavoured Ice Cream with sweetener (Xylitol). We create great-tasting treats that are good for you. They're naturally low in sugar and high in protein because we use Whey, the goodness found in the best bit of milk which comes from happy, grass-fed cows. Be good to yourself because a healthy body lets you do amazing things! This outer casing contains important information: Please read before discarding. Pots not to be sold separately. Store at or below -18°C. Do not refreeze once defrosted., For best before: see lid.